The Oklahoma Spay Network has reviewed the results of the enactment and enforcement of spay/neuter ordinances in Oklahoma cities and towns. While the impact varies, Tulsa, Lawton and Claremore have had significant success in reducing shelter intakes through these ordinances. Euthanasia rates have also decreased in all three cities. Cummings credited their success to a local, low-income spay neuter program operated by the ARK, a private animal hospital in Claremore. The ordinance provides her officers with the ability to compel pet owners to get their pets altered and the local program enables low-income pet owners to follow through. The 2007 passage of a strong spay/ neuter ordinance in Lawton has resulted in reduced shelter intakes, reduced shelter euthanasias and an increase in owner reclaims as well. Lawton Animal Control supervisor, Rose Wilson credits the increased owner reclaims with the fact that once pets are spayed or neutered the owner feels some sense of investment in the pet. She also noted that owners are less likely to relinquish pets that do not develop behavior problems associated with being unneutered. It closes the revolving door whereby people relinquish a pet with behavioral issues related to breeding behavior only to get another pet. The Lawton ordinance also prohibits street sales of live animals. Lawton passed the first anti-chaining law in Oklahoma. Euthanasias in Lawton have declined overall by roughly 40 percent since passage of the ordinance. Wilson said, “The numbers prove the success, but we still hope to bring intakes down even more.” In describing the numbers Wilson does not use the term, ‘adoptable.’ She said, “We call that, ‘a dog with nothing wrong’…that way we don’t excuse the tragedies by using special language.” Wilson said that if the dog is not ill, injured or a biter, the problem was excessive numbers. The 2008 decision to begin enforcement of the Tulsa pet sterilization ordinance has also resulted in a decrease in intakes; an increase in adoption fees have not had any notable impact on the number of animals leaving the shelter to go to new homes. Most large cities in our region have experienced increases in intakes while Tulsa’s decreased. 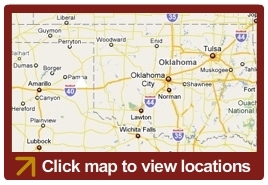 For information on spay neuter programs in Tulsa call SPAY OK at 728-3144 or 970-4222. © 2010 Oklahoma Spay Network - All rights reserved.